Welcome in my space of dioramas ! 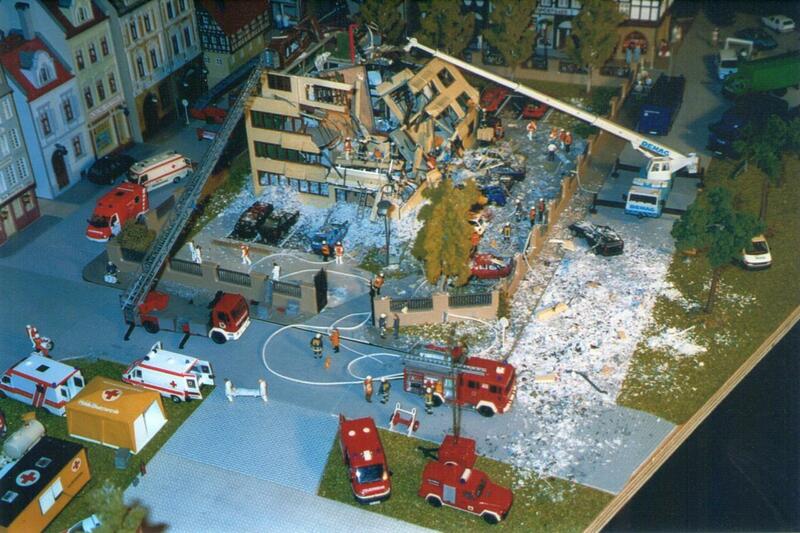 My dioramas are mainly in the scale HO (in the 1/87th). My concern is to realize the themes as closely as possible to the reality. Then it is necessary to me to find the arrangement from fixed dimensions, because they fit most of the time into shop windows. 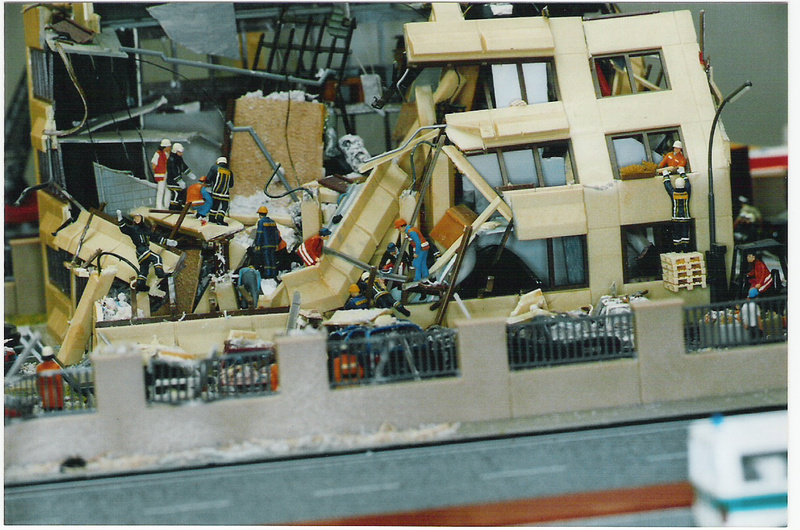 In all those who took some pleasure or who will take some pleasure to look at my themes, it is necessary to know that houses and buildings are to be gone up, to be painted and that some were decreased according to their situation on the board (example in " Taking of hostages in New York ", four modified buildings). All this takes time to me (time of drying, time of sticking, etc.). I have many ideas in this domain, but I regret numerous lacks, which do not allow me to realize my projects. For example, there is no manufacturing of beautiful American fire brigades in real attitudes. To observe details, click photos of the site to enlarge them. Special page on the "FDNY"
Special page " NYPD "
Special page training " NYPD "